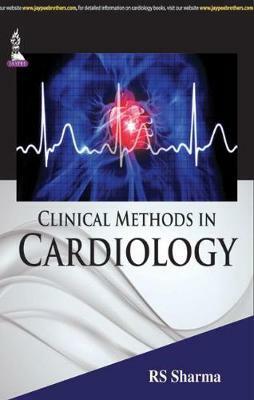 Clinical Methods in Cardiology is a comprehensive guide to the diagnosis of a range of heart conditions. This book is divided into 12 chapters, starting with general methods in history taking and physical examination, followed by specific conditions including congenital heart disease, valvular heart disease, infective endocarditis, pericarditis and pulmonary heart diseases. Other important heart conditions are discussed including cardiac tumours, hypotension, neurocirculatory asthenia, abnormal position of the heart, heart disease in pregnancy and thyrotoxic heart disease. Clinical findings, symptoms and differential diagnosis are considered for each condition, providing a coherent and informative format, complemented by full colour images and illustrations throughout. The final chapter provides answers to a number of FAQs concerning bedside clinical examination and viva voce exams, making Clinical Methods in Cardiology ideal for postgraduates and cardiology residents.